For someone who grew up in a wood shop, walking into Anew Nature felt like being home again. The smell of fresh wood greets you at the front door and soothes you as you move into the comfortably disheveled space. 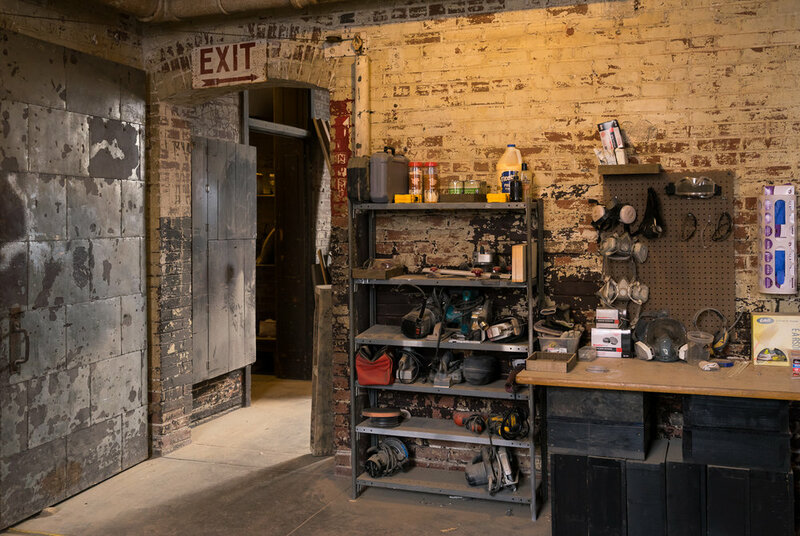 Saw dust abound, the rooms feel like the Anew crew mean business and it's obvious that they do from the tables flooded with particles of past projects. 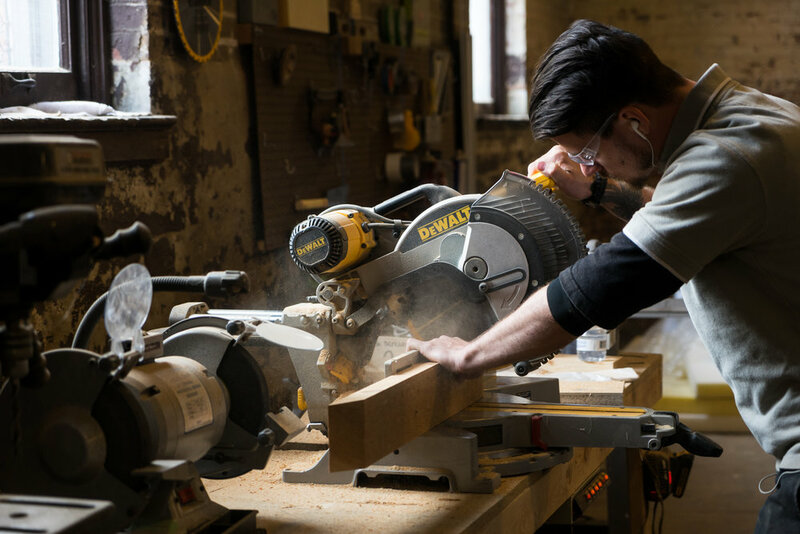 If you take a moment to talk to Robert, or Matthew, you can see their faces light up as they talk about teaching people the art and science of wood working. Anew Nature is founded to help, not only those interested in wood working, but people previously convicted of felonies. Anew helps interns build marketable skills. It's a beautiful goal, and something so necessary. In a culture focused so heavily on a college education, this real-world, hands-on educational opportunity is refreshing, and that's not even mentioning the power of a strong education for those convicted of felonies. Anew's interns put in real manual labor and the fruits of their efforts are laid bare for you to see in many homes and businesses throughout the St. Louis area. Although I only spent a few hours with Anew, the space has left a lasting impression on me as an individual, not just as a photographer. Of course, the light spilling into the large windows was exceptional, but what stood out to me most was Robert's passion to make a difference; it's something that I will remember for a long time. It reminds me of all the things I take for granted and makes me think: take time to make a difference, no matter how small. Be sure to check them out on Instagram and Facebook.